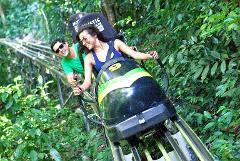 Plan a visit to the Island Gully Falls and Blue Hole in the scenic tropical hills of St. Ann. This lagoon-like pool fed by the cool river waters flowing down from higher elevations will be an experience to remember. 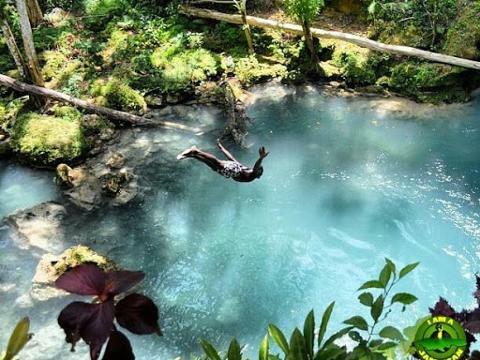 Your Blue Hole adventure starts with your pickup at your hotel lobby or the Ocho Rios cruise terminal and you are driven in comfort on a scenic roadway to the Cascade Rainforest. 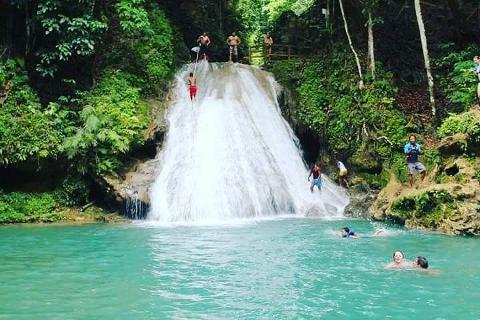 At the Island Gully Falls and Blue Hole, you will enjoy rustic nature at its best. 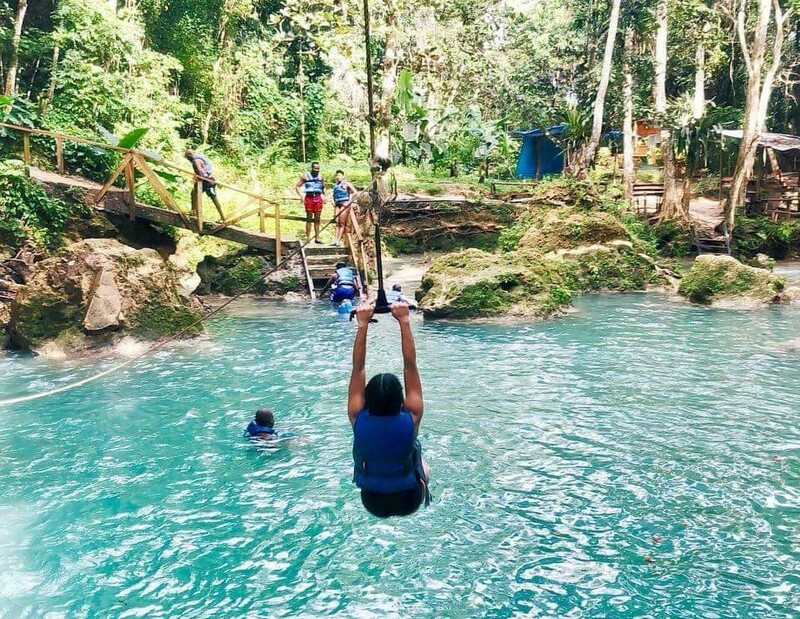 Jump, dive or swing from ropes into the pristine watering hole. 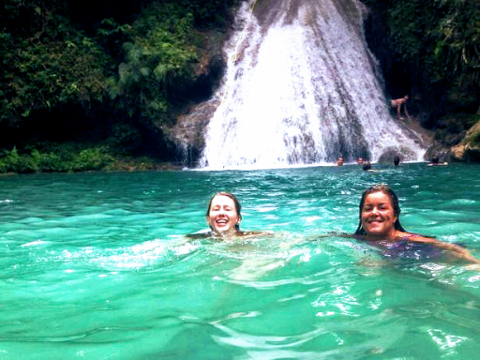 Swim under the waterfall and discover hidden caves or just sit on a rock and relax under the calming waters of the falls. Hike along the stream and discover more pools and waterfalls or relax on a rock and just absorb the sun’s rays, all while in the capable hands of expert tour guides. On the way back have a lunch (meals and drinks not included) at one of Jamaica's famous jerk centres, enjoying the delicious meal with an ice cold Red Stripe beer or tropical fruit drinks before heading back to your hotel or cruise ship with a heart filled with Jamaica!